On Sunday, March 22 Historic Shed will be participating in the historic College Park Neighborhood Sunday in the Park event in Orlando. We will be exhibiting a 6’x8′ custom shed plus examples of our traditional screen doors and wood window screens. If you are in the area, we would love to have you stop by and introduce yourself. 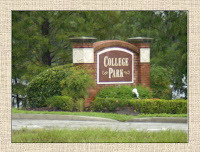 College Park is a pleasant, historically significant neighborhood located just north of downtown and contains one of the largest concentrations of middle-class homes constructed from the 1890s to 1950s in Orlando. The neighborhood has 4 areas listed on the National Register of Historic Places: the North Lake Ivanhoe Historic District, the Southwest Lake Ivanhoe Historic District, the Lake Adair-Lake Concord Historic District, and the Rosemere Commercial District. Admission to Sunday in the Park is free. Children can buy an all day wristband for all attractions, including the pony rides, for just $10. Kids under 4 can play games for free.